A policy of civil disobedience was adopted by the Nationalist Party at its annual conference. Over the next few days Merlyn Rees, then Secretary of Sate for Northern Ireland, held meetings with local political parties to discuss possible ways forward. The funeral took place of Reverend Robert Bradford. 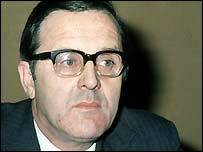 James Prior, then Secretary of State for Northern Ireland, attended the funeral but was given a hostile reception from members of the congregation. The Royal Ulster Constabulary (RUC) announced that it was cancelling all holiday leave for its officers. Peter Robinson, then deputy leader of the Democratic Unionist Party (DUP), defied a ban and marched in Portadown with other members of Ulster Resistance in paramilitary style uniforms. James Molyneaux, then leader of the Ulster Unionist Party (UUP), denied that he had ended the UUP boycott of ministers. 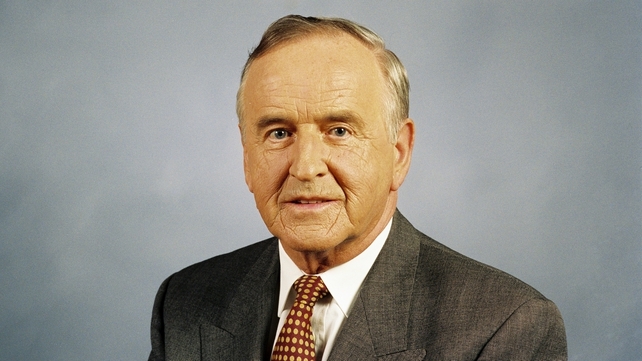 Albert Reynolds, then Taoiseach (Irish Prime Minister), and his Fianna Fáil (FF) ministers were forced to resign ending the coalition Government of FF and the Labour Party (LP). The resignation followed a controversy surrounding the appointment of Harry Whelehan to the position of President of the Supreme Court. Gerry Adams, then President of Sinn Féin (SF), said that his commitment to the peace process was absolute, and did not depend on who was in power in the Irish government. 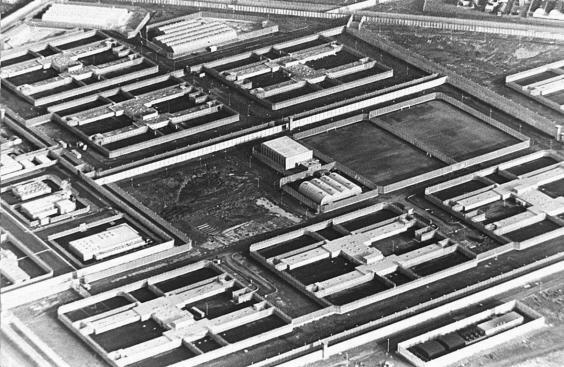 Following the change in the law regarding remission of sentence for paramilitary prisoners, 83 people were released from jails in Northern Ireland. A report in the Sunday Tribune (a Dublin based newspaper) claimed that the Irish Republican Army (IRA) were effectively observing a ceasefire while they engaged in contacts with the British government. Unionist parties maintained their stated position that decommissioning of IRA weapons would have to take place before Sinn Féin (SF) could be involved in any talks. The Loyalist Volunteer Force (LVF) claimed that it had left four bombs in Dundalk, Republic of Ireland. The Garda Síochána (the Irish police) removed some “suspicious devices” for examination. Lee Clegg, then a member of the Parachute Regiment, began his third appeal at the High Court in Belfast against his sentence for the murder of Karen Reilly (16) on 30 September 1990. The government accepted that the Loyalist Volunteer Force (LVF) ceasefire was genuine thus making it possible for LVF prisoners to be considered for early release. The Irish Times (a Republic of Ireland newspaper) published an article claiming that preliminary drafts of the Independent Commission report on the Royal Ulster Constabulary (RUC) had recommended that the existing membership of the police should be made to resign and reapply to join a newly constituted police service. The article also said that the draft report had recommend that all symbols seen as partisan, including the flying of the Union flag, the hanging of Queen Elizabeth’s picture and the force’s current insignia, should be dropped. Chris Patten, then Chairman of the Commission on the RUC, denied that there was a preliminary report on the RUC. The newspaper also carried an article by Robert (Bob) McCartney, then leader of the United Kingdom Unionist Party (UKUP), on the issue of decommissioning. The Irish Republican Army (IRA) issued a short statement saying it was committed to peace and acknowledged that the Good Friday Agreement would contribute to a lasting peace. It endorsed the leadership of Sinn Féin (SF) in the negotiations and agreed to nominate a representative to enter discussions with the Independent International Commission on Decommissioning (IICD). Those political parties in favour of the Agreement welcomed the IRA statement. Five Ulster Unionist Party (UUP) MPs issued a statement which called the IRA’s move “totally inadequate”. David Trimble, then leader of the UUP, disassociated himself from the statement of his fellow MPs. Shot from passing car while walking along Upper Crumlin Road, near Ligoniel Road, Belfast. Shot from passing car while outside friends home, Levin Road, Lurgan, County Armagh. Off duty. Shot at his farm, Maguiresbridge, County Fermanagh. Off duty. Died two months after being shot outside his shop, Ballygawley, County Tyrone. Off duty. Shot shortly after leaving Drumad British Army (BA) base while driving his car along Hamiltonsbawn Road, Armagh.